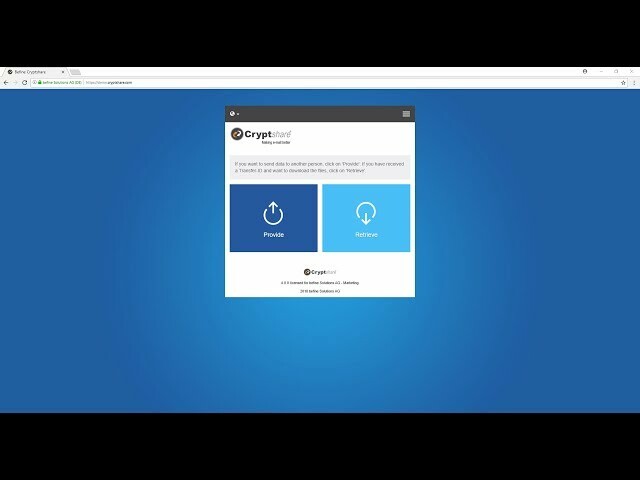 The core of the Cryptshare system is our Cryptshare server, which resides either in your DMZ or an externally hosted site. 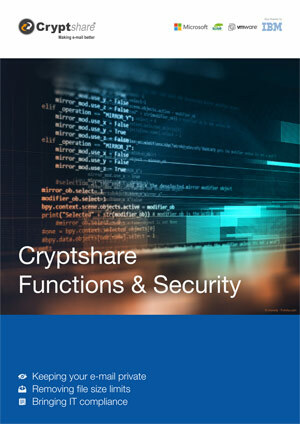 Your Cryptshare server is also the core module if you decide to extend your Cryptshare system with email integration or other automation modules. 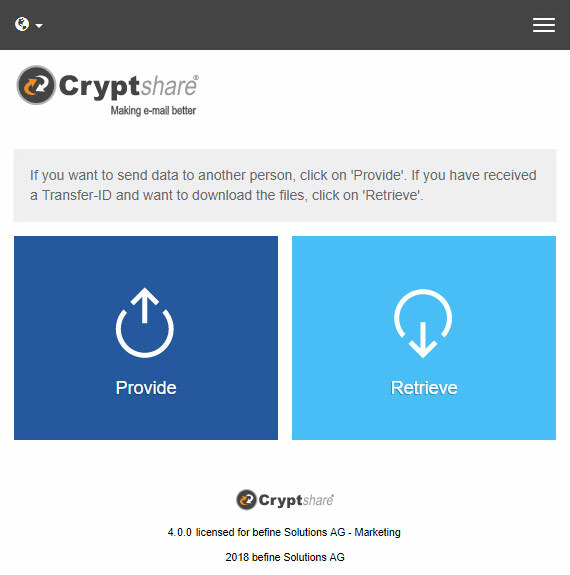 Cryptshare is easy to use for both sender and recipient. 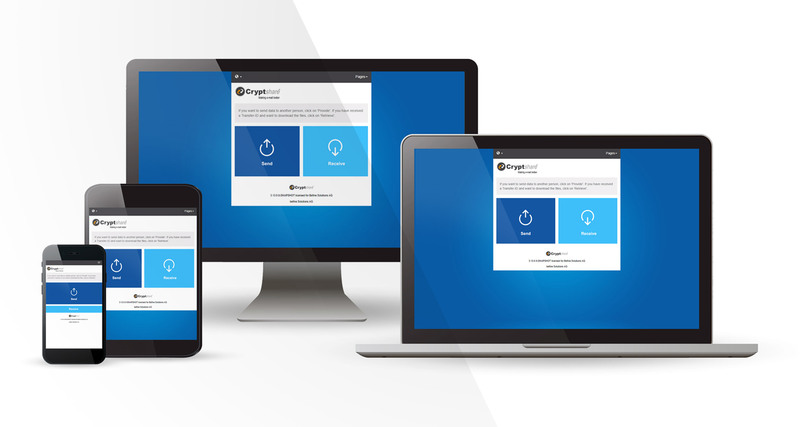 As one of our customers said ‘if you can use e-mail you can use Cryptshare’. All you need is email and a browser there are no user accounts or complex software set-up needed. First enter some basic information about you. This allows Cryptshare to authenticate who you are by sending you an access code. 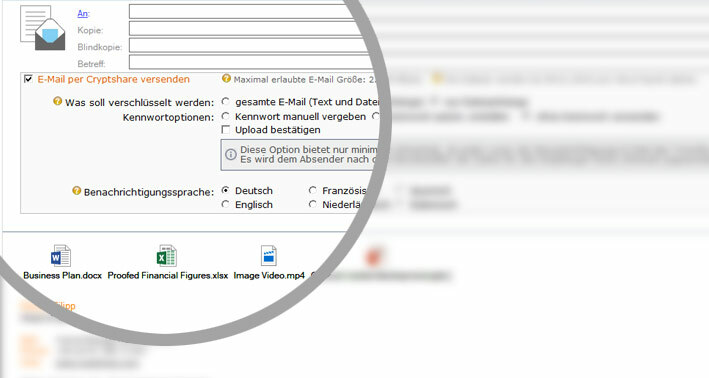 With this code you are able to follow three simple steps to send your file. 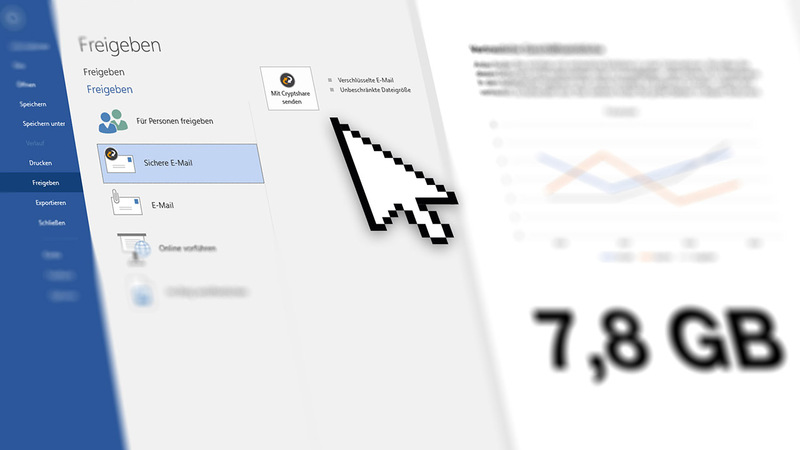 For those who send large files inbound or outbound via email and exceed your size limit, edit the response messages that your mail server sends and point the sender to your Cryptshare system.